The changing role of nursing may sound daunting, but nurse leaders don’t have to go it alone. They can rely on their peers to learn best practices in redesigning care delivery. Learning from peers is exactly what took place at the 2018 HealthLeaders CNO Exchange in Charleston, South Carolina, where 35 nursing and patient experience executives gathered in roundtable sessions that addressed transforming patient care and experience. Researchers urge proactive, positive programs to protect healthcare workers from burnout, trauma, and abuse. A majority of healthcare organizations were seeking to expand their executive team with new members who could confront the evolving industry’s new challenges. In healthcare, some of the best innovations are deciding what not to do—especially when the current practice has no evidence basis. A majority of the events included verbal abuse and intimidating behavior, and other issues reported were work interference and humiliating and threatening behavior. 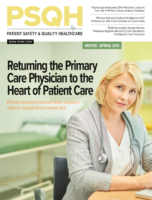 The events occurred in many areas of care, especially in perioperative care, medical/surgical units, and emergency departments, and were often prompted by procedural errors and complications.